It's packing day, so just a quick post with a few photos of some of the items we've recently gotten to add to these shoeboxes we're packing! First up some Dollar General Clearance. 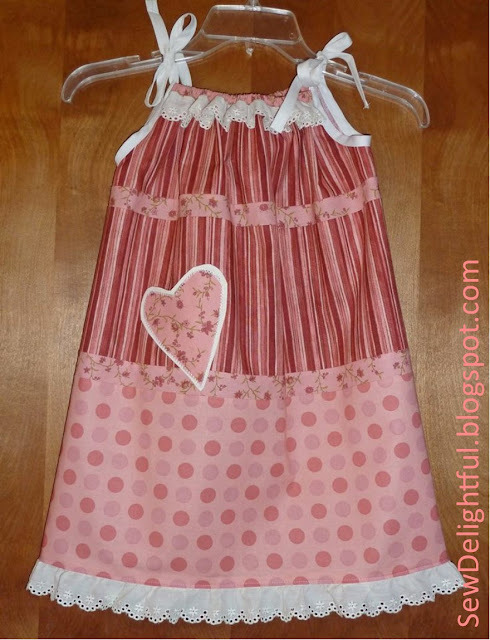 We also got a donation from Sew Delightful. I don't think I'll have time to take photos and write a post about our family packing party this year, so I thought I'd share the link to the YouTub video I made showing the set-up. 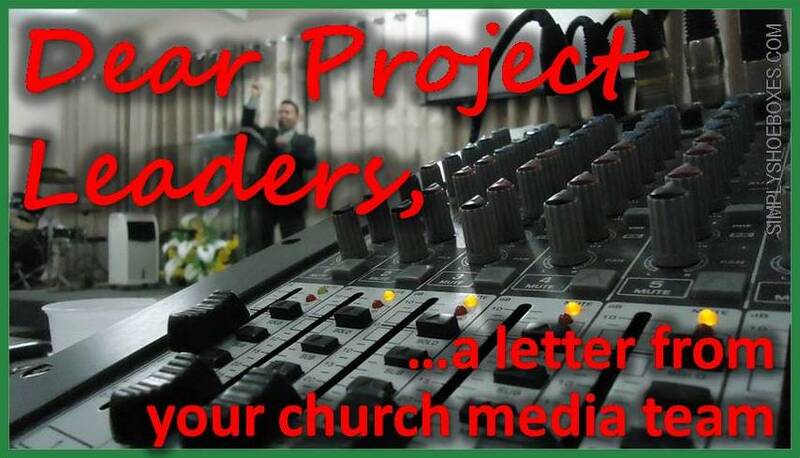 Check out more about packing parties in these posts. 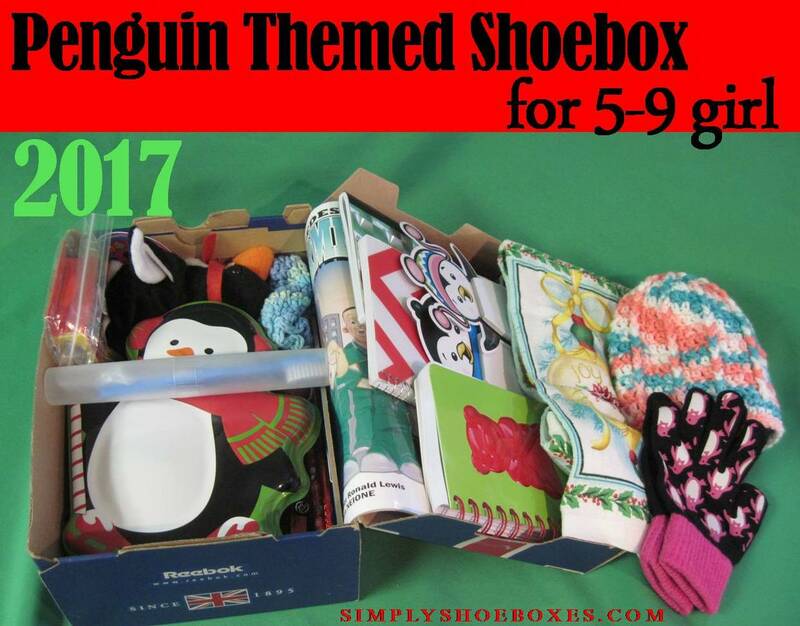 OCC Shoebox Stockpile Saturday ~ 9/29/2018 ~ A month's worth of supplies 87% off! Haven't updated the blog in a while with my shoebox finds, so here's what I've found in the last month or so. Was blessed to find some great deals on items we needed before packing! Still a little short on socks this year, so picked this 3 pack up at a dollar store to check the quality/size. Found some pens on clearance at Walgreens. Freds seems to have started their annual clearance sale-only 50% off at the moment, but these socks were a good price-I'm keeping an eye out to see when they mark down to a lower price. Got these on clearance at Hobby Lobby. I thought they were mustache whistles like lip whistles, but they seem to more spin than make noise, so I'll just add them as a fun bonus. A couple new coloring books from a thrift store. I got a scanner coupon for Irish Spring at CVS, plus it was on sale w/ECBs back, so ended up getting it for like a quarter a bar instead of a dollar a bar! I had been working hard at reviewing Office Depot Products and turning in ink cartridges (some I'd brought home when we changed the ink in the church sound board printer) to earn Office Depot Rewards, but hadn't seen any great deals like past years, so when they had a nice sale, I decided to stock up-managed to have enough rewards to get an order up to the free shipping minimum, plus found a 10% off coupon code online for more savings! I was excited because I figured from what I saved it would work out to be like over $1 worth of items per shoebox we'll pack. 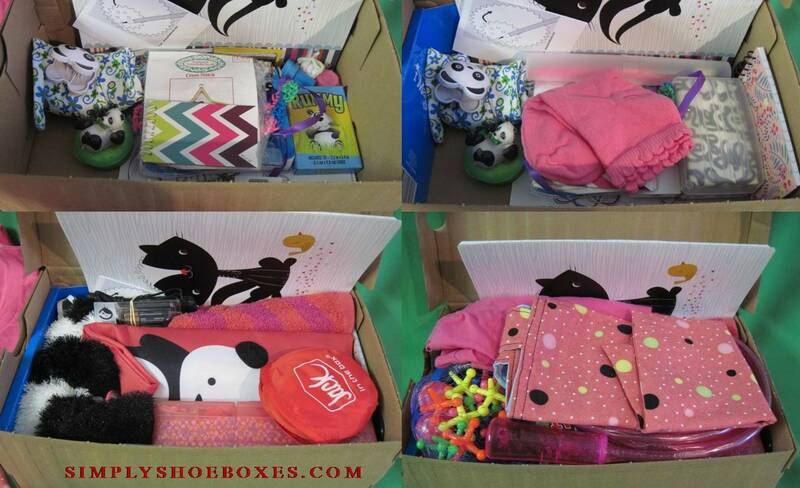 Here's a snapshot of some of the shoeboxes I packed for Operation Christmas Child last year. A fun frog themed box for a 10-14 year old boy. I finally found a box to fit the balsam glider I misjudged the size of-haha! A fire and dog themed 5-9 boy shoebox. Bunny and purple 10-14 girl shoebox. My first soccer ball shoebox-this one for a 10-14 year old boy I believe. Cat and bird themed 10-14 year old girl shoebox. 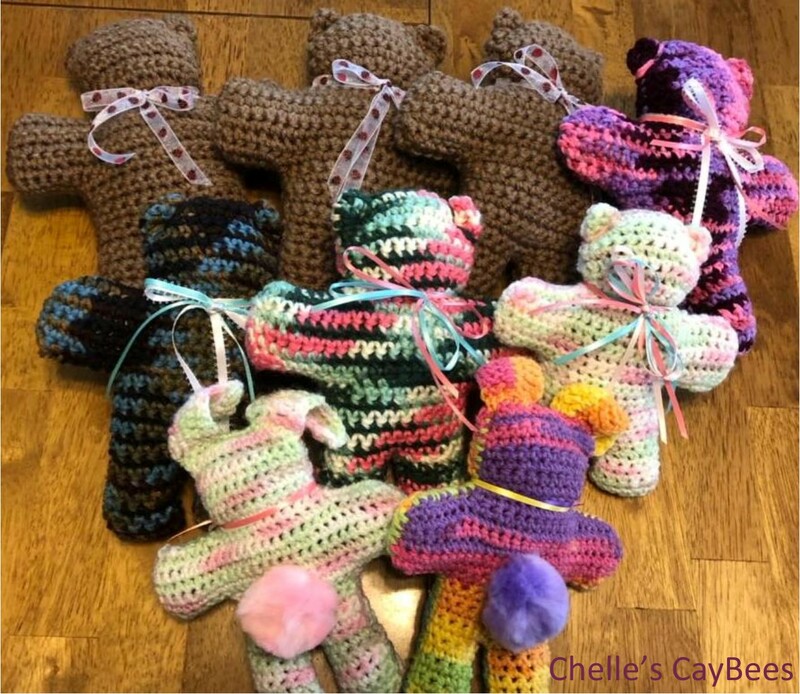 A 2-4 year old girl shoebox with a very large stuffed animal-but managed to fit in a lot of other items!! A very fancy/classy 10-14 girl shoebox. For more ideas/fun boxes, check out other shoeboxes we packed for boys, girls or our themed boxes! All throughout September you can earn bonuses when sign up as my referral on Swagbucks. Disclosure: Links to Swagbucks in this post are my referral links. I also earned SB for sharing this promotion. I like to share about Swagbucks from time to time as I know a lot of people (myself included) have found it helpful to their personal or shoebox packing budgets, and I want to give other people the chance to find out about it. Swagbucks is a rewards site where you earn points (called SB) for things you're probably doing online already, like searching the web, watching videos, shopping, discovering deals, and taking surveys. Then you take those points and exchange them for gift cards to places like Amazon, Walmart , or PayPal cash. 3. That's it. It's super easy, and Swagbucks is for real. I use it myself, and I've earned a lot of PayPal rewards to use on various things.Disclosure: Links to Swagbucks in this post are my referral links. I also earned SB for sharing this promotion. Thank you for using my links it helps me earn extra SB. The extra SB helps me afford the time to write the blog and keep up the Facebook page. 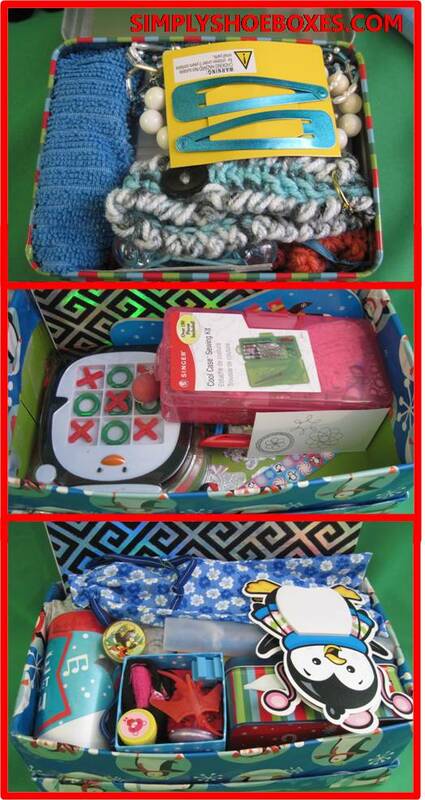 A few years ago we made a post of ideas of things to pack in a shoebox. It seems to have been quite popular. We've seen it used as mini handouts for shopping ideas and blown up supper large as a poster. With changes to banned items last year it needed updated. I had dreams of a total re-design as a design person. Well...I just really kept not having the time to do that, so I mainly just updated the items, here's the new one. Please note, this is for the USA, other countries have different requirements. 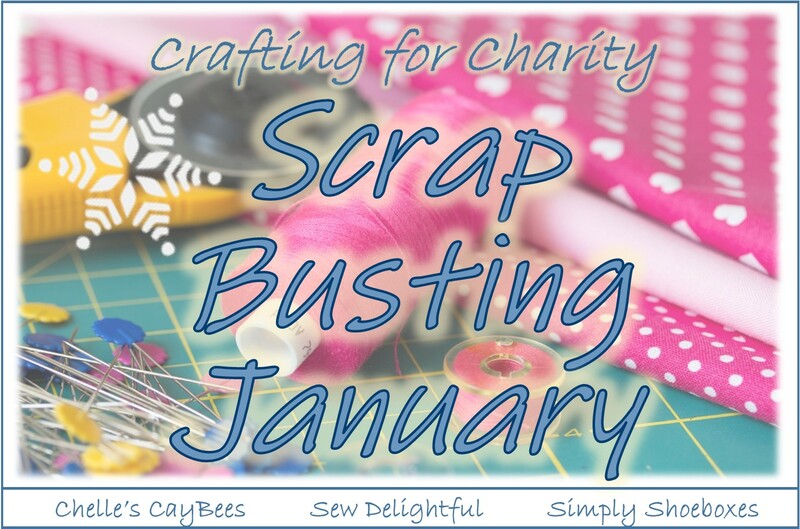 Hopefully you'll find it helpful-feel free to use however you find helpful!! 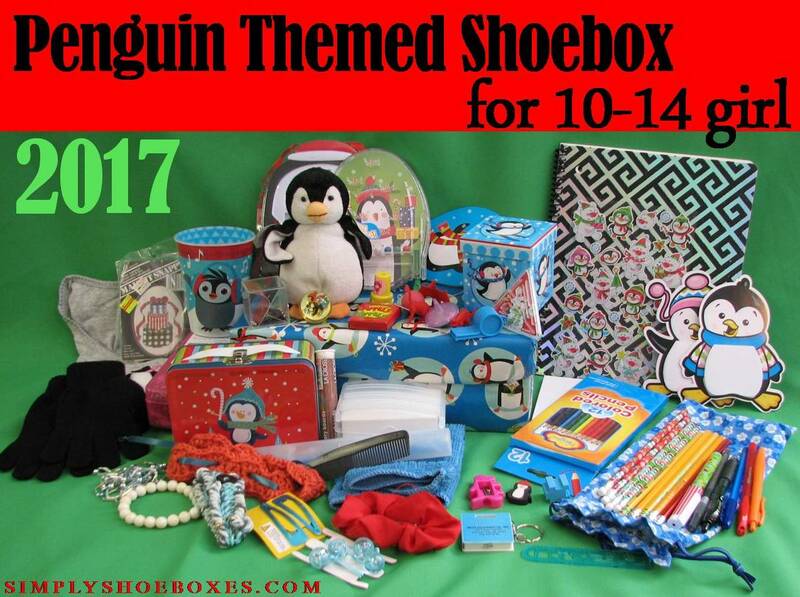 You can find shoebox supply collection posters thru this link: Shoebox Printable Resources. 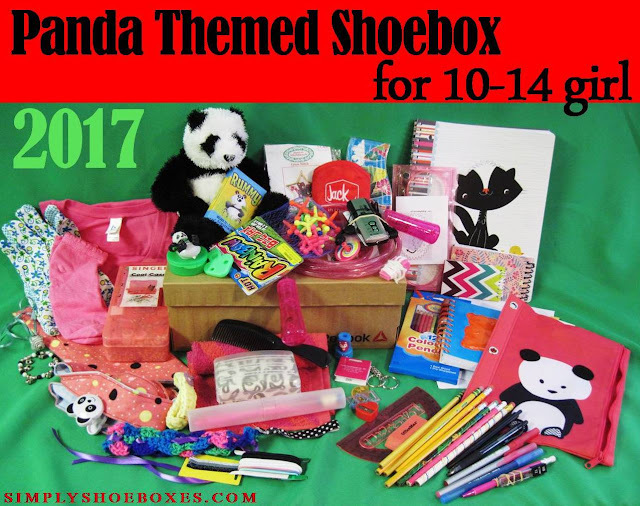 I have packed Panda themed shoeboxes for Operation Christmas Child a couple different years including last year. This one started with a little trinket box with a panda on it and a pencil case in 2016. I kept my eye open throughout 2017. I found a bag clip that was shaped like a Panda head, and playing cards that featured a panda. I found a notebook with a skunk...not quite a panda, but the same kinda idea. Plus lots of pink items, and my mom sewed a tote bag from fabric I'd picked. Then, the day before packing, I found a stuffed panda bear to bring it all together!! One, non-panda item, I was really excited to add was we had gotten a small radio as a prize for signing up for something, so I was able to include it (it's laying on top of the jump rope) and I'd just read the story of Dania -and- A Radio. 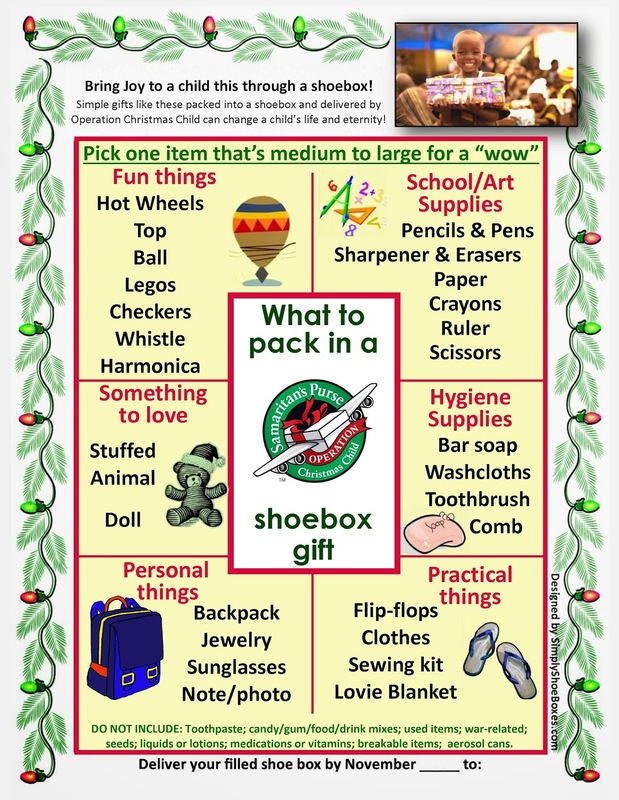 When we make a themed Operation Christmas Child shoebox, we don't leave out anything on our basic packing list-I still put in hygiene, school, and art supplies, clothing, whistle, etc as well as toys (including a ball and stuffed animal) with a family photo. We just try to find versions of what we are putting in that goes with the theme and occasionally an extra item or two. Often people find it helpful to see how the box is packed to fit everything in, so here's some photos of how these items fit in the shoebox.